Game recaps and more in your NHL morning coffee headlines. 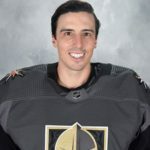 NHL.COM: Vegas Golden Knights goalie Marc-Andre Fleury moved into the 10th spot on the NHL’s all-time wins list, picking up his 408th victory as his club beat the Anaheim Ducks 3-1. Ducks netminder John Gibson had a 42-save performance in a losing cause. Jakub Voracek scored the game-winner and added two assists as the Philadelphia Flyers defeated the New Jersey Devils 5-2. The win gives the Flyers a .500 record with eight points in as many games. Devils defenseman Steven Santini suffered a broken jaw after being struck in the face by a puck during the first period. A 42-save effort by goaltender Philipp Grubauer carried the Colorado Avalanche to a 3-1 victory over the Carolina Hurricanes. Avalanche forwards Nathan MacKinnon (1 goal, two assists) and Mikko Rantanen (assist) extended their points streaks to eight games. Sebastian Aho (assist) extended his franchise-tying season-opening points streak to eight games. Jeff Skinner tallied a hat trick leading the Buffalo Sabres to a 5-1 win over the Los Angeles Kings, handing the latter their fourth straight loss and prompting a closed-door meeting by the team following the game. Jason Pominville netted his 700th career NHL point. He and Jack Eichel also each collected three points. Winnipeg Jets backup Laurent Brossoit kicked out 42 shots and Jacob Trouba had three assists in a 5-3 win over the Arizona Coyotes. Clayton Keller scored twice and Oliver Ekman-Larsson also had a three-assist effort in a losing cause for the Coyotes. The Jets (11 points) sit third in the Central Division. Second-period goals by Robert Bortuzzo, Zach Sanford and Ryan O’Reilly powered the St. Louis Blues to a 4-1 win over the Toronto Maple Leafs, snapping a three-game losing skid and handing the Leafs their second straight defeat. Blues defenseman Jay Bouwmeester was a healthy scratch for the first time in his NHL career. Mark Stone scored twice (including the winning goal) and Matt Duchene had two points as the Ottawa Senators overcame a 3-1 deficit to defeat the Montreal Canadiens 4-3 in overtime. The Canadiens sit second in the Atlantic Division (10 points) while the Senators (nine points) hold the final wild-card berth in the Eastern Conference. Gustav Nyquist’s overtime goal gave the Detroit Red Wings their first win of the season as they edged the Florida Panthers 4-3, snapping a seven-game winless streak. The Panthers have just one win in their opening six games. In just his second game of the season, Chicago Blackhawks goalie Corey Crawford turned in a 37-save performance in a 4-1 victory over the Columbus Blue Jackets. Patrick Kane scored twice and added an assist while Alex DeBrincat (goal) extended his points streak to seven games. Mikael Granlund scored in overtime as the Minnesota Wild nipped the Tampa Bay Lightning 5-4, extending their winning streak to three games. The Vancouver Canucks handed the Boston Bruins their third straight loss in a 2-1 victory on Bo Horvat’s overtime goal. The Canucks sit second in the Pacific Division with 10 points. The Bruins were playing without David Backes, Charlie McAvoy and Kevan Miller, who are all sidelined by various injuries. Jusse Saros turned aside 31 shots to pick up his first shutout of the season as the Nashville Predators blanked the Edmonton Oilers 3-0. Earlier in the day, the Predators placed goalie Pekka Rinne on IR with an upper-body injury. He’s expected to miss the club’s next three games. The Oilers also revealed forward Ty Rattie (midsection muscle injury) will be sidelined for at least two weeks. Tomas Hertl picked up three assists in the San Jose Sharks 4-1 victory over the New York Islanders. Joonas Donskoi scored and added an assist for the Sharks, who sit third in the Pacific Division with nine points. The Leafs/Blues game was slow-paced and boring. Although Leafs lost; these last two games will benefit them as a wake up call. They’ll need to adapt to teams playing them in a forced slower pace. Parayko played well. He’s a beast.